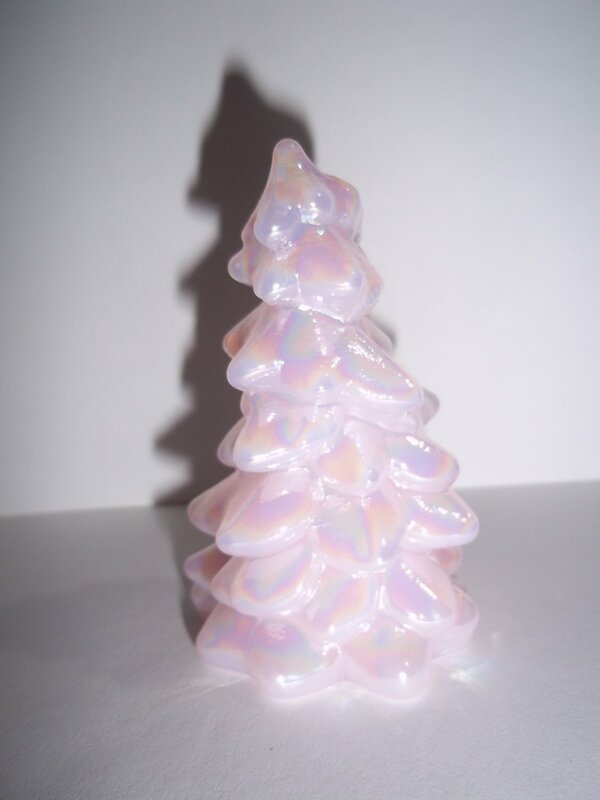 Offered here is a beautiful Christmas tree figurine made of crown tuscan pink glass with a carnival or iridized finish that just sparkles! It was made by the Mosser Glass Company which is a small family run business making quality art glass in Cambridge, Ohio USA! It would make a lovely part of your Christmas decor or a great gift! Fenton Art Glass Black Carnival Iridized Heavy Iris Vase 12"